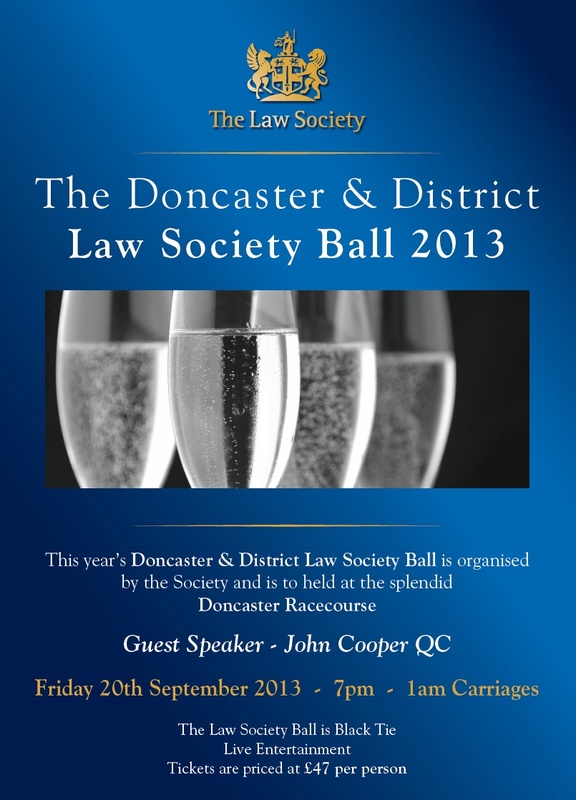 The Annual Dinner Dance of Doncaster Law Society takes place on 20th September at Doncaster Racecourse . The Event with Special Guest Speaker John Cooper QC is proving to be very popular and building upon the success of last year is likely to be a sell out. Tickets are priced at £47.00 .